Sign-up for Visual Arts Workshops will be at the Art Tent (near the Main Stage) on Friday evening between 6:00 and 7:00.pm. This year many of our workshops are drop-in, and only a few workshops require sign-up, so be sure to double check the schedule. You might not need to wait in line! The career of Yukon artist, Emma Barr has spanned well over a decade. The third-generation artist was formally educated at the Kootenay School of the Arts in Nelson B.C. and graduated with a fine art diploma majoring in mixed media. In addition to her studio work, which focusses primarily on painting commissions, Barr teaches art to all ages. Barr exhibits and sells her work nationally and internationally, and remains as one of Yukons’ favorite and most promising Canadian painters to collect from. Emma will have an open-air studio set up for 1 oil painting on the go, where people are encouraged to come paint with her. No need to be intimidated! the canvas will be set it will be like paint by numbers as there will be an outline to follow, and by the end on the week a very interesting community painting should evolve. When Andreas Koenig first moved to Ireland he discovered the craft of willow weaving and has been weaving traditional and contemporary baskets for over 20 years.. He has an honours degree in social care which informs his creative work and often works in large scale which allows for community participation. Koenig holds workshops and demonstrations in various venues across Ireland, where he is now completing his Masters in Creative Practice in Galway. This workshop will suit anyone with an interest in the art of willow weaving. During the workshop we will create rattles that can be used as instruments or as a child’s toy. Each participant will walk away with a completed rattle as well as exhibit a rattle in a larger group installation that will evolve over the festival period. Suzanne Paleczny is a Whitehorse-based visual artist. Her most recent exhibition ‘Human/Nature’ featured larger than life driftwood sculptures and paintings. In this painting workshop, participants will follow the time-honoured practice of learning by copying the work of the Old Masters. Images to work from and all materials will be provided. There is a sunny cabin, nestled in the woods near the shore of Shallow Bay. This is the ideal home and studio for Yukon artist Lara Melnik. Primarily self-taught, Lara has been making unique jewelry for many years. Her obsession with beads has driven her to create her own, using polymer clay and the ancient Italian technique of millefiori canework. A 25 minute workshop on making your own beads with a few colours of clay, by mixing, blending and twisting colours together. Participants will be given the opportunity to play around with shapes and colours and take home their unbaked project in addition to a few small bits of clay. Baking instructions will be provided. $5 to play with a maximum of 6 participants at a time. But don’t worry; it’s only a short time to wait for the next session to start! Mary has been an artist in the Yukon since the early 1970’s. Her formal education was at Santa Barbara City College and California College of Arts and Crafts. Living in the Yukon bush, she enjoys using natural fibres and has created many dolls, masks, baskets, weavings and jewellery. Both Anne Mackenzie and Sheila Alexandrovitch have taught her their unique techniques and she has branched off in her own direction using her love of birds and the Impressionists sytle of painting to create the feelings of places and animals we see around us every day. Needle felting with Mary Beattie is an easy adventure into the Yukon wilds. 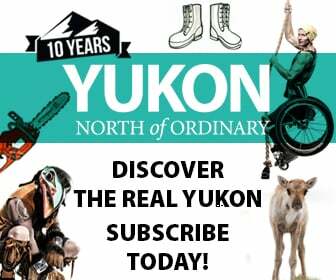 We will be guided to create forms of critters either imagined or seen in the Yukon. Felting kits are $20 each which includes wool, synthetic stuffing, a felting needle, and a small piece of foam. Daniel Benjamin Gribben of the Tahltan First Nation from Northern British Columbia; great grandson to Grace Edzerdza as well as Grandson to Nora Edzerdza while son to Rhoda Merkel & Daniel Gribben with one full-blooded sister Candace Gribben. In May of 2007, Benjamin began to practice First Nation’s art at a local carving studio that was formally known as Sundog now known as Northern Cultural Expressions Society. He has now been carving for over ten years now and in that time created masks, panels, plaques, bentwood boxes, head dresses & regalia, along with most of the First nation’s spiritual animals. He also has been a part of a large carving projects such as a Dugout Canoe and the Healing Totem located at the Whitehorse Waterfront. In the workshop Ben will be teaching on how to draw the basic First Nation shapes. These shapes will be: Ovoid, S-shape, L-shape & U-shape. If time allows, you will also learn how to draw one of four animal heads. Heidi loves lines and shapes, and works in printing, drawing and pen-and-ink. She lives and teaches art in Whitehorse, and is illustrating a book. Heidi has a degree in fine art from the University of Toronto. With carving tools, ink, paper and glass, you will create and print a design that can be used again and again. The soft blocks are soft and easy to carve. Jeanine is a self taugh artist who has lived and worked at Crag Lake since 1988. She has been a full time glass media artist for 15 years. Traditional stained glass windows, fused glass patterns, bowls, panels, kiln cast glass sculptures, painting on glass, flame worked glass components and glass beads are all part of repertoire. Jeanine has taught stained glass and fused glass workshops in Haines Junction, Whitehorse, Carcross and Atlin over the years. She also has a small studio on Mt. Sima Road in Whitehorse, where she has begun some open studio sessions where glass enthusiasts can arrange to make their own projects. Create your own little glass tile design. All tools and materials provided. Children with a grown-up welcome, otherwise, 12 and up. Patrick has been practicing raku firing since 1981. His popular Fireweed line of handmade functional ware is produced at his Raven Pottery Studio in Whitehorse, Yukon. A place setting was so featured by invitation in the prestigious On the Table show at the Gardiner Museum in Toronto, Ontario, recognizing the Fireweed Pottery design as a Canadian icon in ceramics. The Yukon Government purchased a 12-piece dinner set in Fireweed Pottery for a special dinner in honour of His Royal Highness Prince Charles. Patrick also has a set of three raku fired pieces in the National Art Bank. ‘Raku’ technique demonstration followed by a workshop. Stories North is an experiential education initiative connecting young reporters from Carleton University’s School of Journalism to the peoples, cultures and histories of Canada’s North. It is also a response to the calls to action in the Truth and Reconciliation Commission that focus on the role of media and educators to help transform curricula and storytelling, to seek truth and foster cross-cultural understanding. This year we’ve got a team that includes journalists, documentary makers and creative-content producers.